As part of the 49th National Day Celebrations, The Private Museum presents 舞: A Goh Soo Khim Collection, an exhibition showcasing the works collected by celebrated Singaporean ballet doyenne Goh Soo Khim. She has played a significant role in the development of dance in Singapore and has always been an avid art collector. Evocative of the beauty and raw emotion of dance, this exhibition features predominantly black and white artworks and a sound piece by Singaporean artists Chen Ke Zhan (b. 1959), Chua Ek Kay (1947 – 2008), Goh Beng Kwan (b.1937), Hong Zhu An (b. 1955), Zulkifle Mahmod (b. 1975) and China artist Wang Lin Hai. 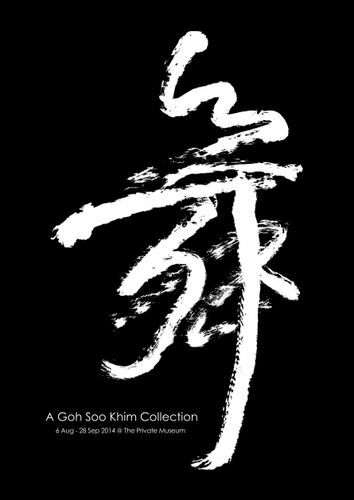 The collection is an expression of Soo Khim’s passion for the dalism of rhythm and movement, the very essence of dance. This dichromatic exhibition encapsulates the beauty and raw emotion of dance, extending beyond the dance stage and to the world of art. Please send RSVP to the event by 29 July 2014 to mail@theprivatemuseum.org or call us at 6738 2872.